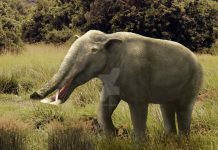 Mammuthus primigenius, also known as the Woolly Mammoth, is an extinct prehistoric elephant which lived from 5 million years ago to about 4,500 years ago – from the Early Pliocene Period to the Early Holocene Period. Its fossils were first discovered during the late 18h century and it was named by Joshua Brookes in 1828. 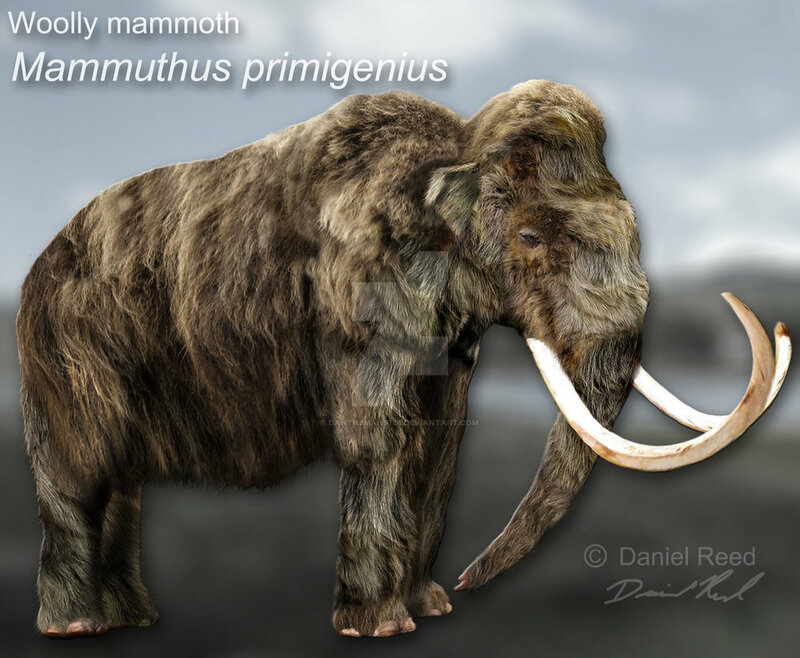 Mammuthus pictures often depict these animals as being huge prehistoric elephants that were covered in shaggy hair. Which is true for Mammuthus primigenius. 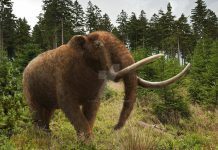 What most people don’t know is that there were over a dozen different species of mammoth that lived all across North America and Eurasia. 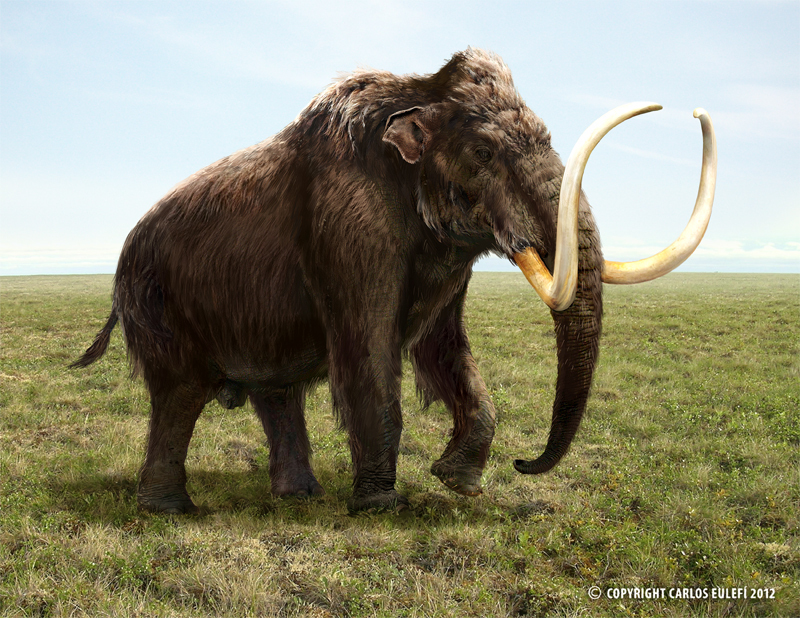 Examples include the Steppe Mammoth and the Imperial Mammoth, and not all of these mammoths were fur-covered. 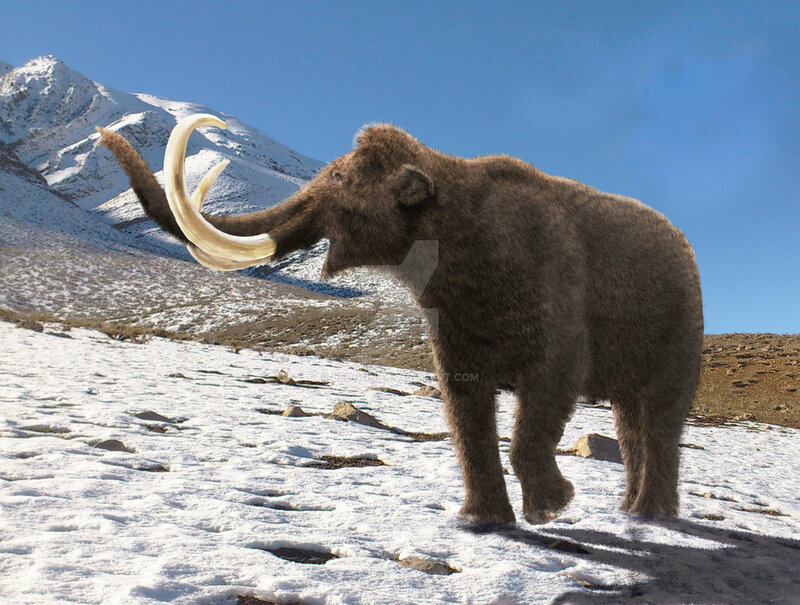 However, the Woolly Mammoth was the most widespread. 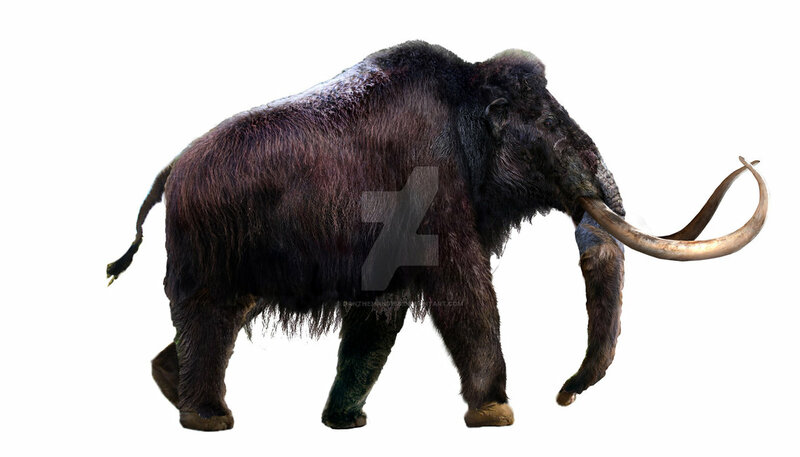 Mammuthus was approximately 11 feet high at the shoulder, were about 20 feet long and weighed around 6 tons. That would’ve made them about the same size as the African bush elephant. 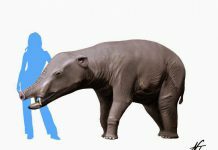 An interesting fact about Mammuthus is that many people think this elephant was huge and that is simply not the case. 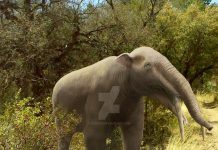 It was about the size of modern elephants and wasn’t even large as compared to the other mammoth species which existed at the time. 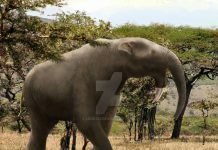 The biggest mammoth species was Mammuthus imperator – which weighed around 10 tons and Mammuthus sungari – which weighed over 15 tons. 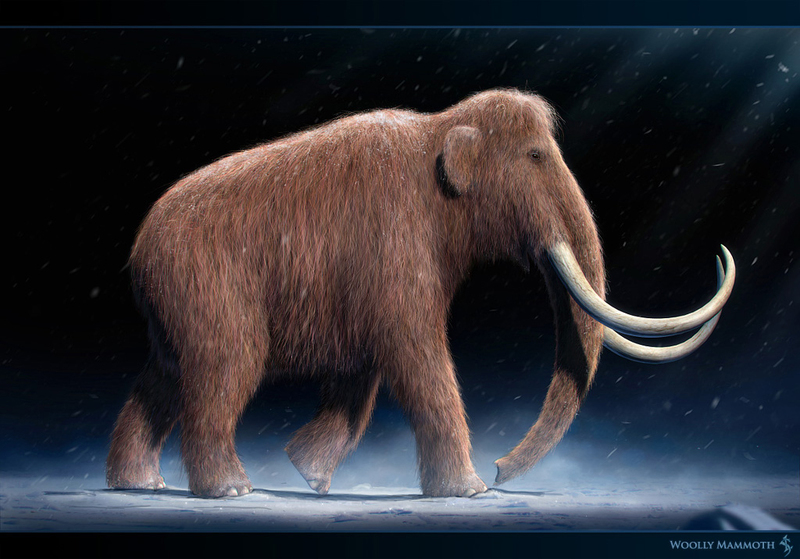 Another interesting fact about the Woolly Mammoth is that it had tusks that were 15 feet long. And modern paleontologists believe those tusks may have been used to fend off saber-tooth tigers. However, that probably wasn’t its primary function. Its primary function was probably to attract females during mating season. 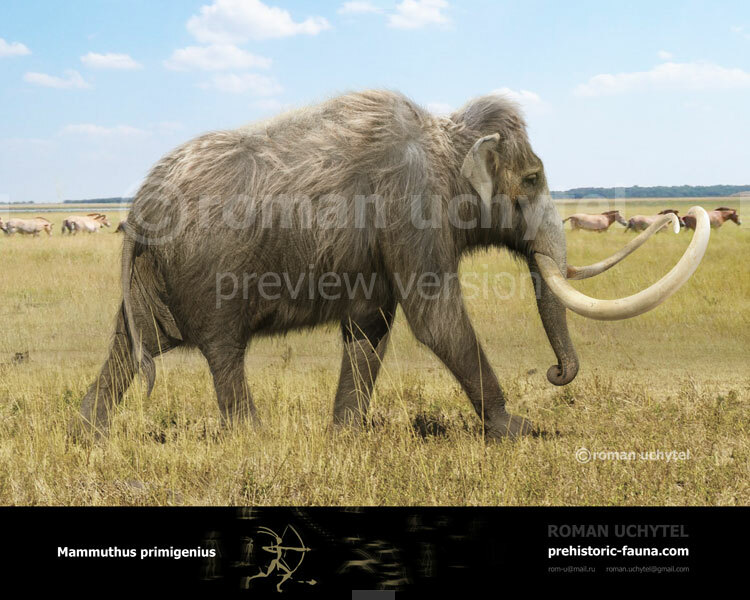 Mammuthus went extinct some 4,500 years ago. 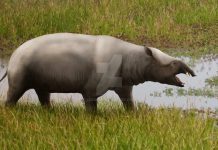 It is believed that the stresses caused by climate change and the decimation of the population by human hunters were more than this species could overcome.